Truth is, even Akihabara isn’t what it used to be for the audio enthusiast: much of the hi-fi has been shoved aside, replaced by shops selling software, games, animé figurines and assorted tourist tat. 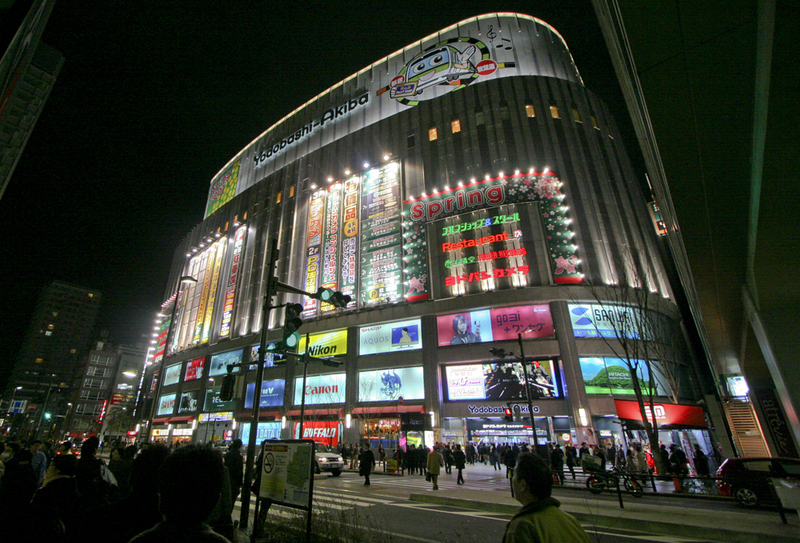 These days your best bet to get eyes-on – or possibly ears-on, if you can manage to look sufficiently unlike a tyre-kicker – with some serious high-end equipment is to get just off the Akihabara ‘strip’ and into the behemoth of Yodobashi Akiba, the megastore outlet of the 21-strong Yodobashi Camera chain. Once you get past the cameras (surprise!) and electric ‘washlet’ toilet seats, you’ll find a pretty decent range of hi-fi, from more headphones than you’re ever likely to have seen in one place to some very serious high-end equipment. That’s equipment such as the Esoteric range I’ve long been lusting over at events from Japan to the High End Show in Germany, almost since the brand was launched in the late 1980s. Why? Because in an age when so some of the Japanese big names were concentrating on ever more affordable models and ranges, and in the process coming up with products with that biscuit-tin clang to the casework, Esoteric always looked like I thought high-end Japanese hi-fi should. Others, such as Accuphase, were ploughing their own obstinately retro furrow, still making products with that champagne gold, big VU-meter 60s/70s bling thing going on, while even the earliest Esoteric products looked like a cross between tomorrow’s hi-fi today and It Came From Outer Space. They were coolly silver, looked like they’d been carved from solid blocks of aluminium and when you got to look inside, the engineering was amazing. I remember being impressed when I had the first briefing on TEAC’s VRDS CD players, with their slick Vibration-free Rigid Disc-clamping system, then stunned when – at a show in Japan – I was first shown the Esoteric version, which looked vaguely like a lathe used to turn components for spaceships. TEAC/Esoteric were building the antecedents of this, which currently sits in the top-end K-01 SACD/CD player. Ah yes, TEAC/Esoteric – Esoteric was set up in 1987 as a high-end sub-brand company by the outfit founded as the Tokyo Television Acoustic Company in 1953, just as state broadcaster NHK started TV broadcasts in Japan – so that’s another one celebrating a significant birthday this year. It later changed its name to Tokyo Electro Acoustic Company, finally shortening it to TEAC, and for some years concentrated on the development of tape decks: first open-reel, then cassette, and finally digital, the last of these leading obviously into the CD age. 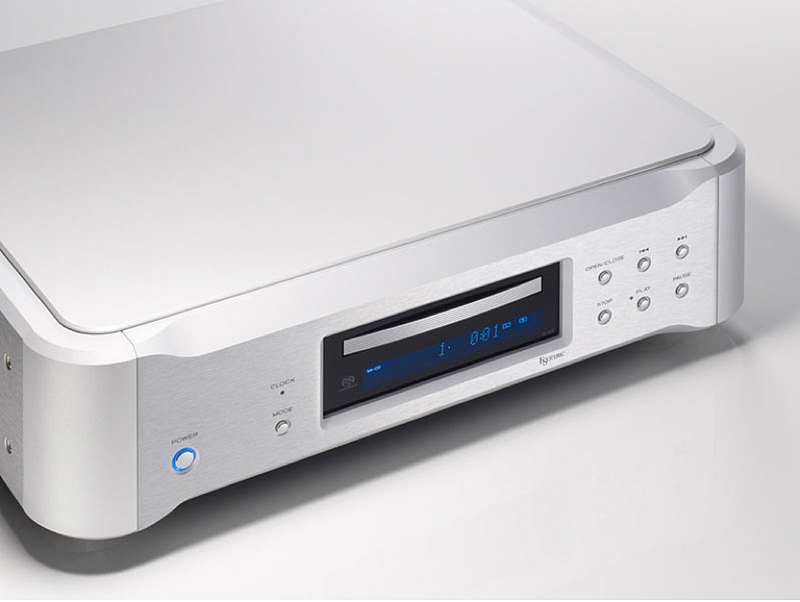 Both the company and its sub-brand have been making CD players, universal players and SACD hardware ever since, and still do things the hard way: TEAC, for example, recently launched a micro-separates system including a CD/DSD player with USB recording and a DAC able to play files up to and including DSD over USB. Meanwhile its TASCAM sub-brand makes everything from a plug-in high-quality microphone for use with iPods, iPad and iPhones through to a wide range of portable and studio recorders and mixers, including the well-known Portastudio range. As I said, I’ve always liked Esoteric equipment, even though my listening has to date always been in unfamiliar circumstances such as hi-fi shows, and with unfamiliar electronics – usually all-Esoteric – and speakers. So it’s been a passion from afar; a bit of a ‘nose pressed against the shop window’ affair of the kind I used to have with those massive train-sets proper toy shops used to have running day and night. However, a recent email from TEAC/Onkyo’s PR person got my attention: he attached a link to the web page for the Esoteric K-07, mentioned he had one at the moment, said he felt it sounded ‘a bit special’, and wondered whether I’d like a play. Alacrity doesn’t quite cover the speed with which I replied, and a couple of days later I got back from a meeting just in time to catch a courier in the process of putting a ‘we called but you were out’ card through the door, and took possession of a rather heavy, if apparently much-travelled, box containing 14kg and £6500 of high-end SACD/CD player. Finished in silver, and with sculpting to the top and bottom of the front panel seeming to reduce its not inconsiderable bulk, the Esoteric has a slimline disc-loader tray mounted in its display panel, and fairly conventional disc-transport controls to the right, duplicated on a well-weighted remote handset also able to control an amplifier from the same stable. However, to the left of the display a ‘mode’ button hints at the player’s other abilities, as a digital-to-analogue converter for external sources. Inputs are on optical and electrical phono, plus USB-B, and there’s also an input for an external clock, should you have a source – such as one of Esoteric’s transports – with such an output, or want to use an external master clock generator. The digital inputs accept signals at up to 24-bit/192kHz, with the option of using high-speed USB connectivity once drivers have been downloaded to your computer, and a USB isolator is also used to prevent any noise from a connected computer from getting through to the DACs. The K-07 offers a choice of digital filters, which can be used to eliminate pre-echo to give a more precise sound (as Esoteric explains it), or to make the presentation slightly richer. There’s also the choice of playing external sources and CDs ‘as is’, or upsampling them before conversion: it’s possible to choose between x2 or x4 upsampling, and conversion of PCM to DSD. Talking of disc playback, the K-07 uses laser optics from Sony, mounted in an in-house shaft-mounted laser pickup assembly, designed to ensure the optical axis is always at the centre of the data-track on the disc, for the most accurate reading of that data. 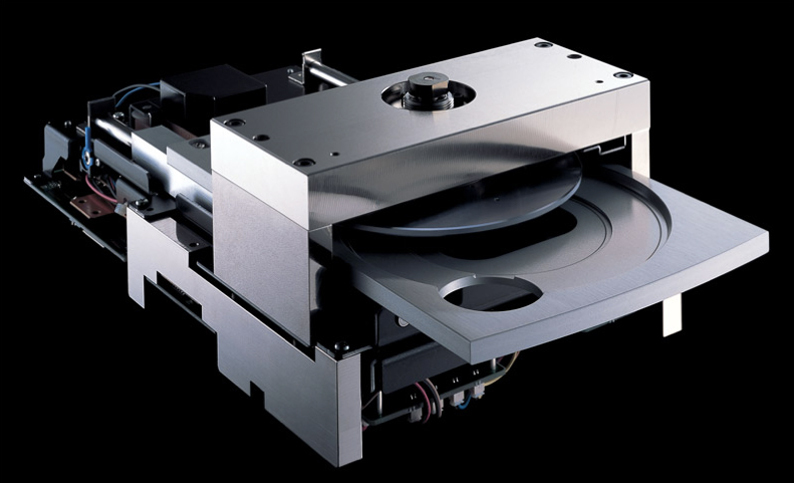 It’s the same optical system found in the company’s flagship SA-CD players: Esoteric calls it the Vertically-aligned Optical Stability Platform, or VOSP, and the mechanism is clamped by a large steel plate and an 8mm thick large-diameter steel stabilizer designed to eliminate resonances and vibrations in the disc. Digital-to-analogue conversion is handled by Asahi Kasei’s 32-bit AK4399 DAC, used in parallel/differential configuration: the converters, and their associated analogue circuitry, are mounted on opposite sides of the circuitboard, for in a true dual-mono layout, and well away from the digital processing circuitry. The analogue output stage itself uses buffer circuits laid out symmetrically to create a fully-balanced configuration, feeding the XLR sockets to the rear of the player: if the conventional phono sockets are chosen for output, the buffer amplifier is switched to parallel operation. The player also offers digital outputs on both optical and phono sockets – should you really want not to use all the onboard digital circuitry – plus a 32-bit digital attenuator, user-selectable output level on the XLR outputs, and the ability to reconfigure the pin assignments on the XLR to suit certain amplifiers. Setting up and using the K-07 was undertaken with some trepidation: after so many years of lusting over Esoteric components at shows, it would be a serious letdown if my first prolonged exposure to the product in action proved to be a disappointment. However, there was really no need for such anxiety: yes, the Esoteric player has no shortage of character, and it’s a character easily adjustable with the digital filter settings, but overall this is an enormously enjoyable player, with an even-handed presentation of a wide range of music, and a real sense that you’re listening to something beyond the basics of competent music replay. I used the K-07 in my usual Naim/PMC reference system, as well as with the Creek Evolution 50A amplifier and Focal Aria 926 speakers while they were ‘passing through’ for review purposes. Set-up is as ‘plug’n’play’ as with any other CD player, with the addition of a USB cable across the room from the laptop – I’m still thinking of picking up a used Mac Mini to go in the equipment rack as a playback device for equipment like this – , the need to install the Esoteric driver software on the computer for asynchronous USB working (first time I’ve had to do that), and the set-up menus to play with. Spent rather too much time fiddling around with the digital filter settings, finding that different filters sounded best with different recordings, and no one option suited as a ‘one size fits all’. Realising that could be the path to audio geek madness, I eventually settled on the PCM-to-DSD upscaling as the best all-round solution, in that it makes the best job of everything from low-bitrate speech radio to CD to hi-res music downloads – DSD recordings on CD are, of course, converted directly. Ishiwata went on to explain that ‘Recently I’m converting conventional CDs into DSD on my computer hard disk – they sound wonderful through NA-11S1 via USB playback’. By uspcaling to DSD within the digital section itself, then converting to analogue, the Esoteric is doing the job for you, and this is a feature we’re going to be seeing in Sony’s forthcoming HAP-Z1ES, which will sell for £2000 when it goes on sale in the next few months, and combines internal storage with network connectivity and that DSD upconversion. Anyway, back to the Esoteric K-07 – remember, this is the least expensive of the company’s K-series players, the flagship K-01 costing several times as much – and the simple verdict is that this is a very superior-sounding player, as adept with large-scale orchestral works as it is with rock or pop tracks, and with all the control and resolution to ensure instrumental textures and technique are clearly delineated. In the past, I’ve been critical of some high-end Japanese audio equipment – or at least the demonstrations of it I have endured – for seemingly taking the idea of dual-mono to almost comical extremes. I’ve heard drum-kits wandering from side to side of a huge stage on which horn-loaded speakers have been placed, what was apparently the world’s first 40ft long grand piano, and a violin occupying the kind of space usually reserved for an entire symphony orchestra. Oh, and more than one playthrough of recordings I know to have realistic, and well-defined, soundtage, rendered into very distinct left and right channels. No stereo, but very left and very right. No such problems with the Esoteric, though it has exactly the kind of precise, slightly luminous sound – the idea that everything sounds slightly larger than life – that seems to excite audiophiles so much with some kind of music. Play the kind of precision jazz so often used for hi-fi demonstrations – early Holly Cole, to pluck one name from the ether – and the bass, the drums, the piano and the voice all sound rather bassier, drummier, pianoier and voicier than you’re likely to have heard for a long while. It’s all a bit Technicolor for some tastes – mine, for example – but it’ll never leave you in any doubt you’re getting solid payback for your investment in a high-end audio system. Fortunately the K-07 is only prone to this failing when playing demojazz: feed it with a more typical diet of music and its combination of rich, warm and yet tightly-controlled bass, midband fluidity and a treble that manages to be sweet and at the same time highly revealing. In other words, one of those players able to lull you into how easy it is to enjoy, while at the same time delighting with just how good it sounds. It might be tempting to imagine that DSD upconversion option acts as a homogenising filter across everything you play through the Esoteric, but that couldn’t be much further from the truth: in fact, the upconversion just has the effect of making an MP3 podcast played via the laptop much more listenable, for example, while at the same time giving CDs less of an edge, and more of the generosity and involvement of a good SACD recording. So you won’t be surprised that, as well as the high-quality recordings I listened to for the Gramophone review of this player, coming in print in a month or two, I threw everything but the kitchen sink at the K-07. And that means everything from the new releases from the Arctic Monkeys and Franz Ferdinand to favourites including a more than healthy dose of The Faces, some archive Rod Stewart solo material, some rough and ready live bootlegs and the odd historical classical performance, and some old live jazz sets in anything but pristine quality. Whatever I tried, the Esoteric sounded, as had been suggested, ‘special’. Not ‘pin you back in your seat with vitriol and sonic fireworks’ special, though the K-07 can certainly deliver as much slam and howl as most home listeners – as opposed to those only happy with their head planted deep in a PA rig bass-bin – could ever want, but filling one with that warm glow that one is hearing more in a recording than via lesser hardware. This is a beautifully judged piece of equipment, from the sheer quality of its design and construction – even the remote control feels understated and classy with its brushed-metal top-plate – to the confidence and sheer clarity of its sound. And in a way, I’m glad: as I said, it would have been intensely frustrating if my first proper hands-on with an item from the long-admired Esoteric stable had been a disappointment, but I was prepared for such an eventuality. After all, you don’t spend as many years as I have doing this without encountering the toppling of many idols; feeling that mix of disappointment and euphoria when you walk out of a show demonstration room thinking ‘gawd, was that it?’ while at the same time mentally crossing another high-priced item off your ‘one day’ wishlist. The Esoteric K-07 is by no means a ‘spare change’ piece of audio equipment, and you’d have to be very fortunate indeed to be in a position to buy one on a whim. It’ll be a considered purchase, and for that reason it’s good that it gives off an air of having been crafted with similar thought and reasoning, and with the quality of construction and sheer performance to avoid that ‘what have I done?’ sense of buyers remorse that’s almost inevitable when you drop a serious amount of money on what is, after all, a luxury item. Yes, you could live without it, but if you choose it as a source for a system of high enough quality to reveal its abilities, the more you use the K-07 the more you appreciate what it can do.